I’m so excited because I’m almost done with Hampton Ridge! 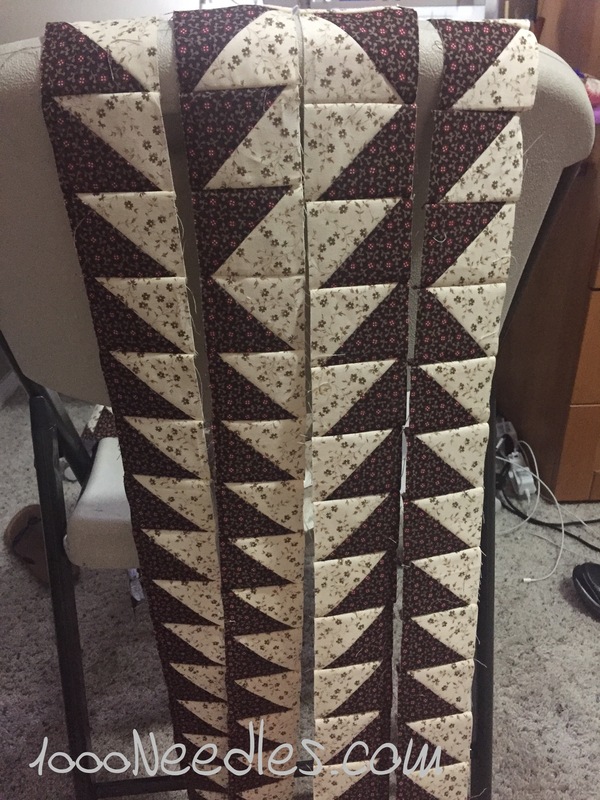 After all the ripping, I was able to get all 4 borders pieced. Next step is to press and then attach to the quilt.